A super little rest and relaxation area – with a little more privacy – for young children with a comfortable slightly curved PVC and foam seat and coloured safety glass back. Ages 2+. 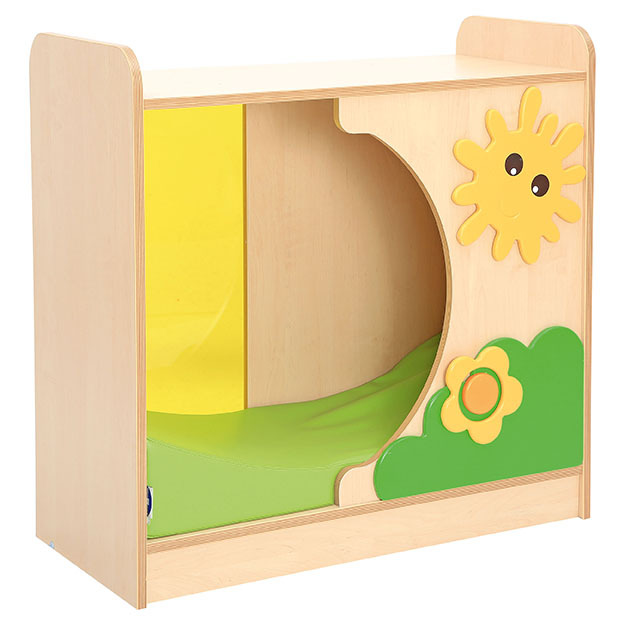 Made from a combination of durable and strong plywood plus MDF. Flat packed for simple assembly. Open and Hideout cabinets shown together.